Gus and John’s mother, Irene Stephas, was born in Kriekouki, Greece, (a small agricultural village about 40 miles northwest of Athens) in 1918 (or 1920, depending on who you ask). Her parents were Father Dimitri and Eleni (Stamolis) Stephas. Irene was the youngest of 12 children, 9 boys and 3 girls. When Irene’s mother died at an early age, she was responsible to take care of her father until his passing in 1938. That same year, Irene married Dimitri Boutsinis in the village of Kriekouki (today it is called Erithres) and soon after, in 1939, had a son, Konstantinos (Gus). Dimitri was born in 1910. He died suddenly, just three years after they were married, in 1941. Gus’ only memory of his father is of the village women mourning at his bedside. At 23 years old, Irene was a widow caring for her three-year old son. 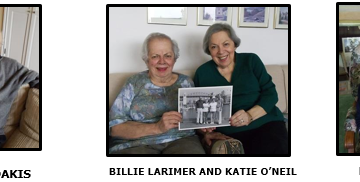 In 1947, with assistance from her sister and brother-in-law in Seattle, Marigo and Chris Barbas (see OUT OF THE DETROIT BUBBLE), an arranged marriage was established. Irene traveled on her own from her small village in Greece to the Bahamas where she met for the first time and married Aristides (Harry) Antoniou Dimitriou from Seattle, Washington. Young Gus remained in Greece with his extended family. Harry was born in a small, hilly village near Thebes, in 1897. He came to the United States in 1910 and served in World War I in 1916-1917. Harry, a physically “bulky” man, was a wrestler and at times a bootlegger just working to survive. In the late 1940s Harry opened the Ensign Tavern on First and Spring in downtown Seattle. It was a rough area where many sailors and dock workers gathered. Harry died in 1955 of a heart attack, leaving Irene as a widow for the second time, with two boys, Gus at age 16 and John at age six, to take care of in a foreign country. Irene had to become the provider of the family and went to work as a seamstress at McDougall-Southwick Department Store (closed in 1966) then at J. C. Penny where she spent over 17 years. In 1971, after traveling back to Greece for a short time, Irene married her third husband, Anastasios “Tom/Tasso” Anastasiou. This was another arranged marriage with the help of George Tourikis. 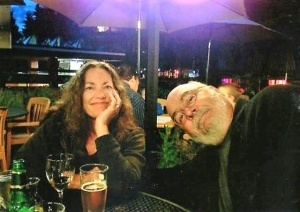 Tom and Irene lived a good life together in Seattle for over 30 years. 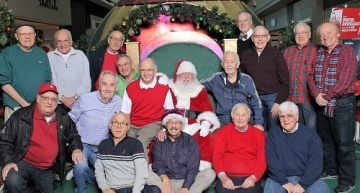 They spent their weekends enjoying the company of their friends and family, playing cards, attending St. Demetrios, and helping to raise their granddaughter. Tom died in 2004, leaving Irene as a widow for the third time. In January of 2015, at what her sons believe was 96 years of age, after a long, full life of many hardships and many joys, Irene passed away. In 1943, Gus and his mother moved from Kriekouki to live with Irene’s sister, thea (aunt) Sophula, in a town just south of there called Vilia. His thea was also a widow that had five children and Gus became the youngest among the cousins in his new family. Vilia was occupied by the Germans and the Polish during World War II. Because of the occupation, the town was becoming dangerous and villagers were advised to evacuate. Thea Sophula’s family, Irene, Gus, and about 60 other villagers left in the middle of the night to the forest just above the village of Porto Germeno where they lived in a small church for about six months. They subsisted on olive oil, grapes, bread and feta cheese, plus occasional help from the Greek guerillas in the area that would bring them food. Two of the Polish soldiers became friends with Gus and his cousin Demetri. They would bring the boys candy and other treats as the boys reminded them of their own children in Poland. Gus was sad to find out that both soldiers were shot and killed on the same day, a couple of months before the war ended. Gus was just eight years old in 1947 when his mother left Greece to meet her new husband in the Bahamas and move to Seattle. In the summer of 1950, Gus left Greece to join his mother in Seattle. Gus recalls his papou (paternal grandfather) giving him his blessing prior to Gus leaving. 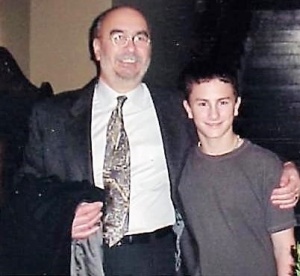 That was the last time he saw his papou. The trip to Seattle, as a 10 year old, was particularly memorable. Not only had Gus not been on an airplane before, but he also didn’t speak any English. Beginning at the Athens airport, two elderly gentlemen were kind enough to care for him on the flight through London to New York. But when the men left for their homes in New York, Gus was alone at the JFK airport with only a tag with his name and destination pinned to his clothing. When Gus got scared and began to cry, a Greek flight attendant approached him and asked him, in Greek, what was the matter. She made sure he was safe, gave him his first banana (he had never even seen a banana before), and helped him board the long propeller-driven plane to Seattle. 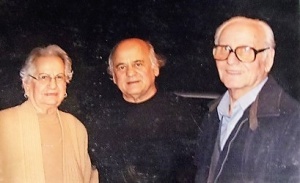 Gus recalls arriving in Seattle late at night and, while walking from the plane to the terminal, was warmly greeted with “Kostaki mou” (my little Gus) by his mother, Harry (his new stepfather), John (his new baby brother), and two dozen Greek friends and relatives. After a quick stop for Harry to close the tavern, Gus was safe in bed at his new home with his new family in America. On a funny note, the first English phrase that he learned was “shut-up,” as his mother was yelling at the dog who was barking at the new stranger in the house. In the fall of that year, Gus was placed in the sixth grade at Loyal Heights Elementary school. 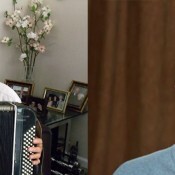 He was so scared to start at a school where he didn’t understand the language, but was told that he would be paired with Jim Manolides, a Greek-American. Unfortunately, Jim did not speak any Greek, so was of little help to Gus. During lunch time he went to a first-grade class where the teacher read books to him and helped him learn the English alphabet. At James Monroe Junior High, Gus was influenced by the actor James Dean from the movie “Rebel without a Cause,” and got in some trouble pretending to be a “big shot.” He later attended Queen Anne High School, along with his Barbas cousins, and graduated in 1957. 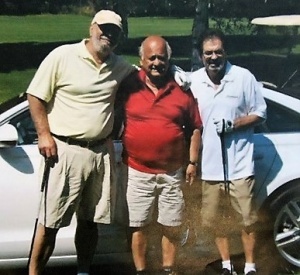 He was 16 years old when he began in the restaurant business washing dishes at the Washington Athletic Club where head waiter Tom Stamolis helped several young Greek men obtain employment. Gus also attended Everett Community College and took some classes at the University of Washington. 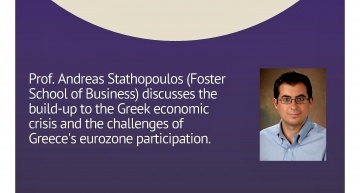 From the sixth grade through high school, Gus went by the last name of Dimitriou, using his stepfather’s last name. When he turned 18, he changed his name back to Boutsinis. In 1960, at 21 years old, Gus joined the United States Army and spent 30 months on active duty in Orleans, France. Upon discharge, he was joined by his mother and brother and they drove south through Italy and sailed across the Adriatic Sea to Greece. 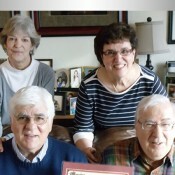 Gus returned to Seattle after four months in Greece, while Irene and John stayed longer. With his interest in restaurants and hospitality, Gus was fortunate to be introduced to John Limantzakis by his cousin, Helen Barbas. Limantzakis worked at the Edgewater Hotel where Gus began as a waiter in 1964, then helped open a club at the top of the Edgewater which he managed for some time. Later he worked at Kim’s Broiler, originally operated by another Greek, Kim Kapitan, and worked there for Jack McGovern. 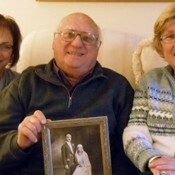 It was at Kim’s that he met his future wife, Joanie Martin. At the time, Wendell West Real Estate was developing properties in Ocean Shores, a resort location on Washington’s Pacific coast. 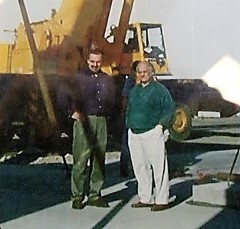 Gus Joined McGovern in Ocean Shores in 1969 to develop the retail space and a restaurant known as the Ocean Shores Inn. He continued to manage properties in Ocean Shores until returning to Seattle in 1973. Again, seeking a restaurant opportunity, Gus opened the Pioneer Banque Restaurant in the old Mutual Life building in Seattle’s Pioneer Square with a partner, Kyle Smith, whom he had met in Ocean Shores. The area was undergoing a major renovation at the time under then mayor Wes Uhlman. The restaurant became one of the better, high-end eateries in Seattle and had five levels with live entertainment and a bar in the basement. The Banque became a hot spot for jazz and pop music, with performers like Dizzy Gillespie and Stan Getz. Gus operated the Pioneer Banque Restaurant from 1973 to 1981 when the new athletic stadiums in the area began drawing customers away from the local restaurants. From there Gus became involved with some Denny’s restaurants in North Seattle and Everett and converted them to “Gussies” until his love of the restaurant business began to fade and the demands began to wear on him. Gus credits his success partly from partnering with others, which was the case as he began a real estate development career. In 1988 he “hit the jackpot” with a new partner, Roy Thorsen. They ended up developing a number of retail, warehouse and office buildings in north Seattle. 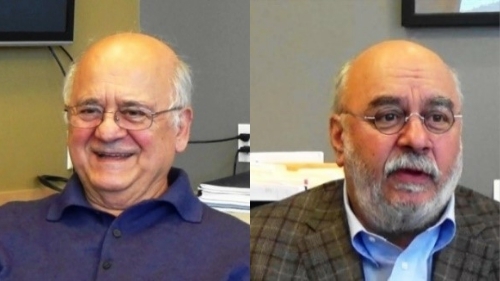 In 1998, Roy and Gus founded RG Properties, a limited liability company focusing on commercial real estate development and management in south Snohomish County, north of Seattle. With Roy Thorsen’s passing and a declining economy, much of the development work ceased while the management activity continues. 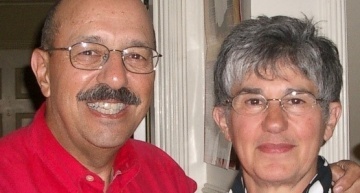 While working at Kim’s Broiler, Gus met Joanie Martin and they were married in 1968. 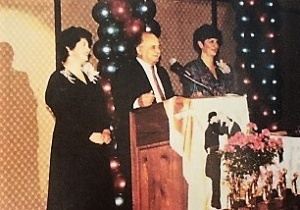 Through this marriage to Joanie, Gus “inherited” three wonderful daughters (Catherine, Julie, and Barbara) and together they had a daughter, Demetra, who was born in 1968. 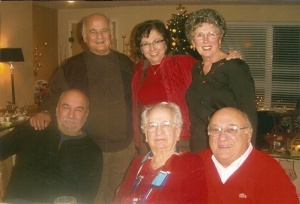 Gus and Joanie have seven grandchildren and four great grandchildren. 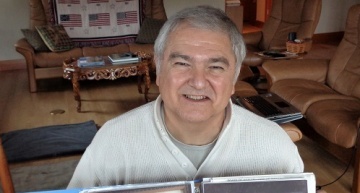 John Dimitriou has established a Seattle jazz music venue that is recognized throughout the country. 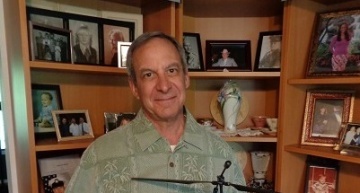 Born and raised in Seattle, John attended Roosevelt High and later community college at both Highline and Olympic Colleges, the latter having a very strong music program. His most profound education started in 1963, at the age of 14, working at the Edgewater Inn Hotel. It was there he was introduced to his first nightclub experience at the Crown Terrance Nightclub located at the top of the Edgewater Inn. John worked as a bus boy in the restaurant and would sneak up to see artists such as Herb Alpert and the Tijuana Brass, Erroll Garner, Mel Tormé and many others. He also went on to Kim’s Broiler and then at Ocean Shores Inn where he got a taste for restaurant management. Both restaurants had large nightly live musical and show events. At the age of 24, he joined his brother Gus working for him at the Pioneer Banque where they first began booking jazz groups. It was at the Banque that John met the famous New York jazz booking agent, Jack Whitmore, who took him under his wing and gave him his greatest education into the business of jazz. This experience was invaluable and led him into relationships with some of the masters of jazz, such as McCoy Tyner, Stan Getz, Dizzy Gillespie, Carmen McRae, Freddie Hubbard, Betty Carter, Milt Jackson, Charles Mingus and Ahmad Jamal, just to name a few. Two years later, in 1975, John was given the opportunity to move to Washington, D.C. and work for another Greek club owner, Pete Lambros. 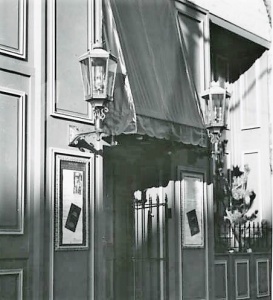 Lambros had already operated a successful jazz club, The Byrd’s Nest, with guitarist Charlie Byrd. This was a key time for John to develop his relationship with jazz and learn how to operate a nightclub. It was in D.C. that John visited the jazz club, Blues Alley, where he met Carla Meyer who was working there as a bartender. They married in November of that year. Around this time, management at Blues Alley was changing and Carla recommended John for an available managerial position, which he received. Along with owner John Bunyan, John helped in the improvement of the club to its current status as an internationally recognized music venue. 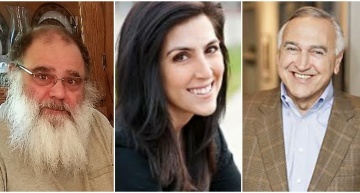 By 1978, John and Carla Dimitriou had decided to move back to John’s hometown of Seattle where he began working with the Paramount Theater Company developing restaurant proposals. He became a manager again when the Paramount took over booking a large club near SeaTac, Washington, called The Place. With a capacity of 1,200 people, the Paramount used the club to book larger acts such as Tom Petty & the Heartbreakers, while John helped by booking jazz acts to fill the open evenings. The venue, however, was not the powerhouse the Paramount had desired and eventually it became a country-western-themed bar called Montana’s. Montana’s was a success with its mechanical bull, hardwood floors, and country bands, but it struggled with the drinking and bar fights that came with its clientele. All the while, John continued to search for a location where he could open his own jazz venue. In 1979, he realized his dream with a small location in Seattle’s University District, which he called Jazz Alley. To make this new venture financially viable, Carla operated Jazz Alley while John stayed on at Montana’s. A year later, he left Montana’s to make Jazz Alley his personal project. The University District venue remained successful until 1985 when it moved to its current location at Sixth Avenue and Lenora Street in downtown Seattle. During this time, John had the opportunity to open another Jazz Alley location in Pioneer Square. Although the Pioneer Square location was successful, it couldn’t keep pace with the expanding professional sports industry in the area and closed its doors at the end of its lease. Since 1985, Jazz Alley has reached international notoriety and is still a place of hard work and great fun for John Dimitriou. He and Carla are still happily married and have a son together, Charles Aristotle “Ari” Dimitriou. Ari spends his time between school and Jazz Alley, where he manages, tends bar, and curates the club’s bar program. Co-owner of the club, Carla Dimitriou’s passion for rescue animals finds her caring for aging large animals in their acreage just outside of Seattle. Carla has also earned a master’s degree in fine arts and continues to show and sell her art, some of which currently adorns the walls at Jazz Alley. The club itself also offers more than just top-notch national and international performing artists. In tandem with the Dimitriou’s non-profit, The Pacific Jazz Institute, Jazz Alley offers educational opportunities for young people through their “Meet the Masters” workshops. Local high schools are also invited in the springtime to perform on the Jazz Alley stage, a tradition that continues to be important in encouraging youth towards the arts. Jazz Alley also hosts programs for seniors, fundraisers, and jazz festivals throughout the year. The club also maintains a close relationship with the local jazz radio station, 88.5/KNKX, and was instrumental in the recent seven-million-dollar purchase of the station by the Seattle public. 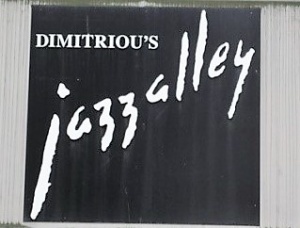 It is this dedication to music, community, arts and entertainment that is exemplary in Dimitriou’s Jazz Alley and which makes it the icon it is today. Gus and John have fond memories of their mother, her strength, her faith, and her beauty. They describe her as “very religious,” her father and uncle both having been priests and her commitment to the Orthodox Church. John also recalls how his mother would always call him on his name day (the day on which the saint bearing the name of the person is honored). Gus has heard many stories of his mother in the village and how she was so beautiful that they would make her cover her face and head when she went out. They both recall their mother’s saying, afta eine ta aschima (those are the ugly parts) referring to the hardships that she and others have experienced. 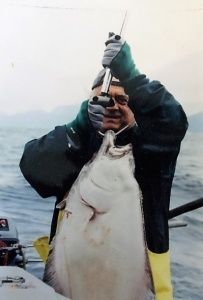 They have great memories of growing up in Ballard; both were friends with George and Paul Plumis (see THE PLUMAKIA) who lived nearby with a large yard and they remember Mrs. Plumis would always yell to the boys when they were out playing, “elatho, na fas” (come in and eat). Both Gus and John served as altar boys, Gus with Fr. Gavalas and John with Fr. Nikitas Palassis at St. Demetrios Greek Orthodox Church. John also attended Greek school taught by Arthur Saridakis. 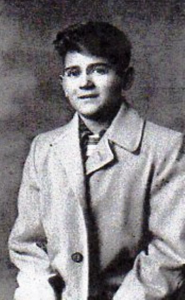 Gus was a member of the Sons of Pericles, the junior association of AHEPA. 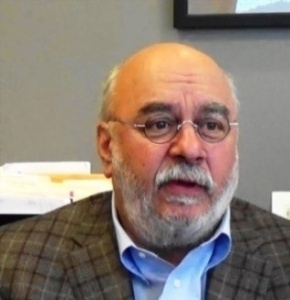 As an adult, Gus served on the St. Demetrios parish council as vice president for two years and president for three years in the early 1990s, under Father Homer Demopulos. 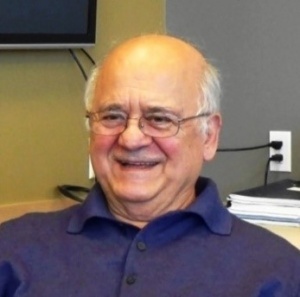 He was also the first president of the St. Demetrios dance program and, in 1990, served as the Executive Director of the Greek Folk Dance Festival in Seattle with co-directors, Maria Barbas and Peggy Tramountanas. He has kept close association with other families from Kriekouki, including Stamolis, Barbas, Sakellaris and Geokezas. Gus’s words of wisdom are “stay with the faith” believing that the Greek culture, language and the Orthodox Church are inseparable. From his mother he learned the saying, Panayetsa panda mazimas – asking the Virgin Mary to always be with us and keep us safe. His faith and his deep commitment to his family has helped him get through the challenging times in his life and keep him rooted in his humble beginnings as a young boy from a small Greek village.